Suction catheters play a crucial role in laser surgery. They can be used to probe lesions, remove debris, perform tracheobronchial toilet, or in the administration of saline, epinephrine and xylocaine® solutions to the operating field. The design of these catheters is very important. They must be transparent in order to preclude absorption of the laser beam´s energy which could lead to melting or ignition, and should not exceed 3mm in diameter. In addition, they must be rigid enough to prevent collapse during suction and allow gentle probing of the area targeted for laser treatment. 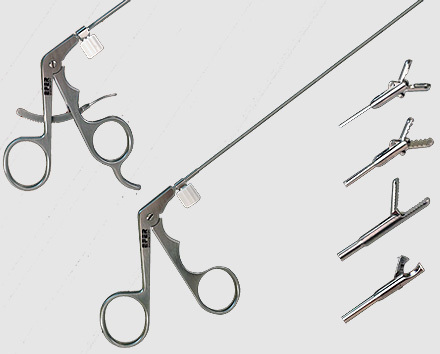 The choice of forceps in endoscopic laser resection is also important. They must be small enough to permit insertion alongside the telescope. Bulky optical forceps are not useful because they take up too much space in the working channel of the bronchoscope, and are difficult to clean. 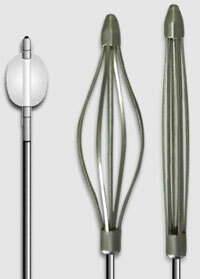 Foreign body forceps are subject to the same constraints. Several models are available. 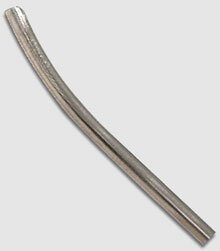 However, the most widely used are the alligator forceps. The latter are invaluable in stent deployment and removal. Endoscopic scissors are very useful in a variety of clinical scenarios. They can be employed to cut wires, section granulomas, or in order to perform radial incisions as part of the endoscopic treatment of tracheal stenoses. They are also helpful in cutting tracheal stents. 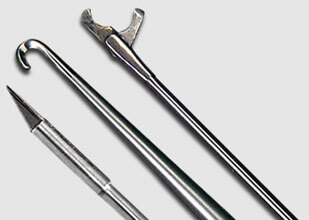 The endoscopic scalpel is a helpful yet delicate instrument requiring expert handling inside the airway. It is retracted within its sheath, and can be deployed in order to perform incisions in a variety of stenoses and/or endotracheal or bronchial lesions. Manipulation of the scalpel with caution is essential in order to avoid harming normal tissues. The wire cutter is designed as a hook with an inner curved cutting edge. It has proven useful in handling endobronchial sutures. The endoscopic resector is a fenestrated rigid tube within which lies a cutting tube. It makes it possible to resect large granulomas or solid tumors under direct visualization. Currently available balloons are costly and not terribly effective in dilating stenoses. 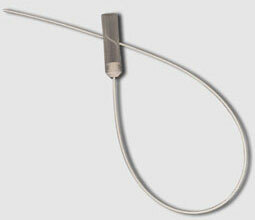 We find the rigid bronchoscope itself much more useful in this regard. Such balloons, however, are sometimes needed in order to facilitate full deployment of an airway stent. 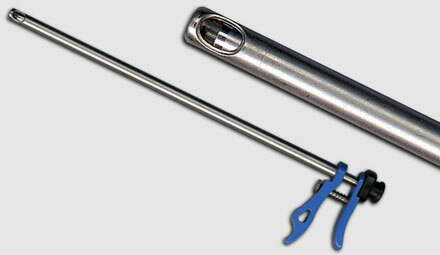 A mechanical dilator might serve the same purpose, however, while enjoying the advantage of being re-usable. The laser, stents, and the equipment used in their deployment, as well as the fiberoptic bronchoscope can be considered ancillary equipment for the rigid bronchoscope. In order to maximize precision, some endoscopists prefer placement of the laser fiber within a specially designed sheath. Simple rotation allows precise orientation of the fiber. The following film demonstrates its proper use.